In 1906 Countess Markievicz took up summer residence in a small two-roomed cottage near Balally, at Barnacullia close to the Three Rock Mountain in South Dublin. She had been looking for somewhere quiet, close to nature but not too far away from the city. She wanted a location that was suitable for her hobbies of painting, writing and walking. 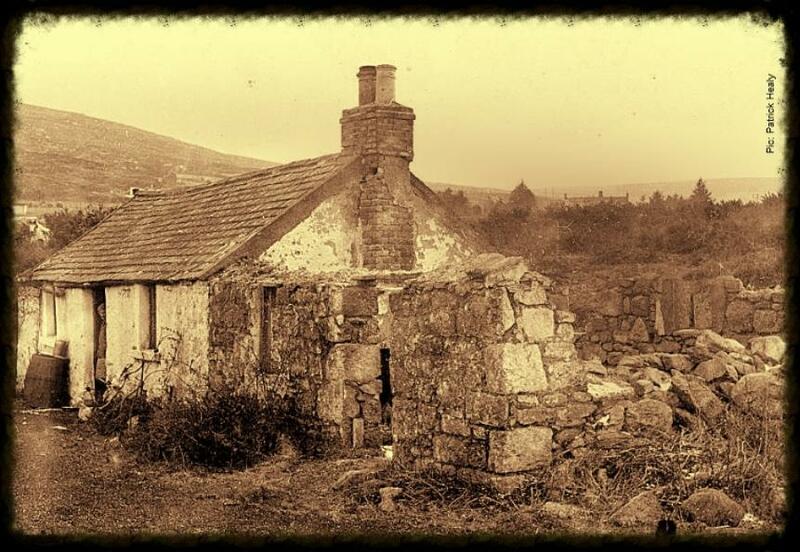 This small cottage was ideal for her and was only one shilling a year. As it turned out this was the place that introduced her to advanced nationalism. The previous occupant had left behind some ‘Sinn Fein’ magazines and she was enchanted and inspired by the stories that filled the pages of this nationalist publication. It subsequently led her to approach Arthur Griffith about getting involved with Sinn Fein. The cottage was used on and off over the next five or so years, mostly during the summer months. However, by 1912 it had become one of the centres of activity for her beloved Fianna and it proved to be an ideal camping location for the boy scouts. It was relatively isolated which meant they could carry out extracurricular ‘scouting’ activities, such as drilling, signaling and target practice, without fear of interference. Another of the popular activities for the Boy Scouts was swimming at the Barnacullia quarry pool at nearby Three Rock Mountain. It was also a popular spot with the locals and on Sunday July 27th, 1913, a local lad named Peter Doyle decided to go for a swim with a friend but unfortunately got into difficulties as he entered the quarry pool. Peter wasn’t able to swim and soon began to submerge in the 25-foot deep pool. He was frantically calling for help and his companion ran to neighbouring houses to raise the alarm. Unfortunately none of the locals he found could swim so he ran to the nearby Fianna camp at Markievicz’s cottage. The first group of Boy Scouts he happened upon immediately ran to the quarry to assist. When they arrived at the pool, Peter was nowhere to be seen and was feared to have drowned. 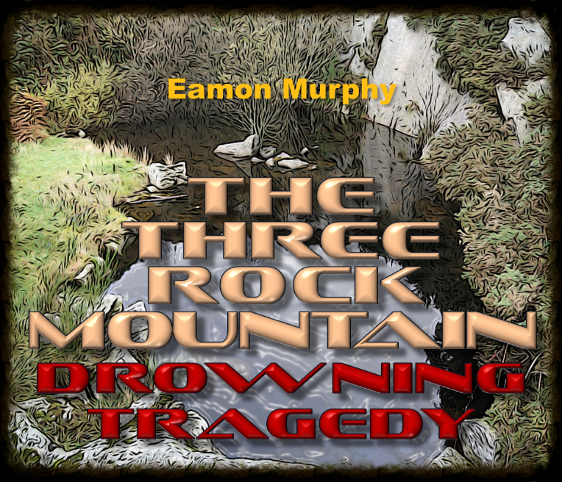 The four young Boy Scouts - Harry Walpole, Thomas Crimmins, Edward ‘Eamon’ Murray and Thomas McCabe - instantly dived into the deep pool and started to search for him. They continuously dived, each taking turns, for a couple of hours until they were too exhausted to carry on. Two of them sustained severe wounds from the sharp granite rocks. The Fianna lads then built a raft and went out in turns to see if they could see Peter. By now, several local policemen had arrived and proceeded to take notes of the incident, as the Fianna boys continued to search for Peter’s body. A large crowd of about one hundred people had also gathered at this stage. Several of those watching the event reminded the policemen that it was their duty to help in the search for the boy, but they reportedly stated that they had no intention of getting wet. 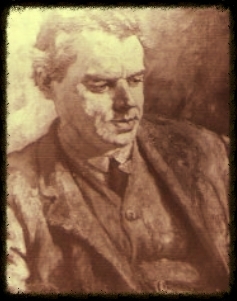 A witness later recalled to Liam Mellows (above) that the police “were taunted with cowardice and one of them, in desperation, after admitting that he could swim, actually went as far as to take off his pants but – promptly stopped there!!”. After some time Peter's body was located by Thomas Crimmins and the boys then took turns in giving CPR but it was no use; he had sadly already lost his life. At this point the police tried to take over but were stopped by the group of Fianna boys, who now carried the body back across the mountain in a makeshift stretcher to the boy’s family. The four boys were actually much younger than the deceased Peter Doyle, who was 20 years old, and indeed younger than most of the onlookers too, which only made their act of bravery much more heroic and admirable. At the inquest, the Fianna boys who took part in the rescue attempt were highly praised by the Judge. The Royal Humane Society is a charity that grants awards for acts of bravery in the saving of human life and, also, for the restoration of life by resuscitation. The Society was founded in London in 1774 by two doctors. It was suggested the Royal Humane Society bestow medals of bravery to the courageous Fianna lads but they refused such an honour from an association with the word ‘Royal’ in it. As a result, the local residents of the Glencullen, Balally, Barnacullia area decided to honour these boys themselves. On August 10th, a ceremony was held at Balally to present the four boys with specially commissioned gold medals and certificates in recognition of their brave efforts to save Peter Doyle. Prominent local man Mr. Charles Hanlon, who presided at the event, said that “the people of the neighbourhood who had witnessed the sad death of Peter Doyle and the gallantry of the Boy Scouts are anxious to pay tribute to these boys for their manly and courageous conduct. The people have nothing but esteem for the Boy Scouts”. The poet Mr. Joseph Campbell (below) made the presentation. Countess Markievicz, present at the ceremony, expressed gratitude on behalf of Fianna Eireann and also thanked the assembled crowd for their kindness and generosity in allowing the scouts to use the local area for camping. Despite the tragedy and the sad nature of the whole affair, the incident had the effect of increasing the popularity and status of the Fianna, especially in the South Dublin area. The locals were so impressed that it was suggested at the medal presentation that they should start a ‘sluagh’ (branch) of Fianna Eireann in the locality. As soon as the meeting was finished, over twenty young local lads put their names forward for enrolment. The event also occurred two weeks after the 4th annual Fianna convention (Ard Fheis) was held at the Mansion House in Dublin on July 13th. After that convention, several of the country delegates had decided to join their Dublin counterparts in camping out at Markievicz’s cottage at Balally. Delegates from Cork, Limerick, Kerry and the female ‘Betsy Gray’ sluagh from Belfast were among those who stayed there. Many of them witnessed this act of bravery and it inspired them greatly. The story of the brave young Fianna boys was now being told to all the Fianna branches across the country. The act was also worthy of a mention in the national newspapers. *An interesting side note on Balally Cottage is that, in 1914, it was briefly used to store Howth rifles before they were moved on again. Also in 1916, James Connolly’s family stayed there during Easter week.